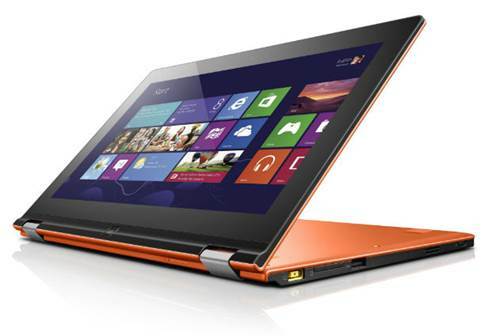 With the Yoga, Lenovo proves that sometimes, making a bold design choice can pay off. 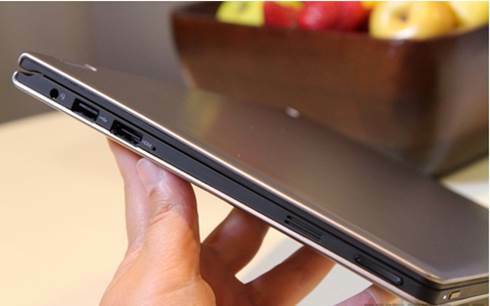 Chinese PC powerhouse Lenovo’s Yoga is not your usual ultrabook. 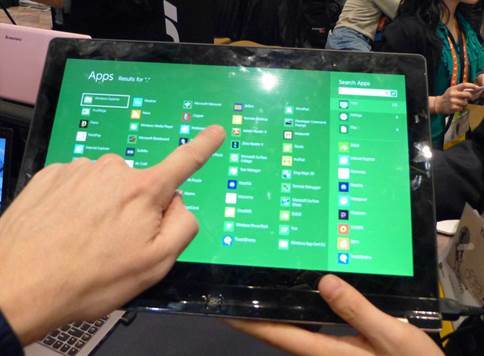 It bends and flips backwards, folding back on itself in order to be used as a tablet. Interesting you might say, but what is the practical value? For us, it was in getting rid of the ungainly keyboard while watching movies or surfing, since you can flip the Yoga into its Tent or Stand mode to have the screen close by. Furthermore - having the reassurance that your keyboard is there in case you need to fire off an email or two, counts for a lot. As a straight forward ultrabook, the Yoga is very efficient, since it comes with a third-gen Core i5 processor, 4GB RAM and a 128GB solid state drive. The i5 in our opinion offers the best value for money and in the Yoga’s case, performance could not be questioned. For some, the 128GB SSD might create hassles since it is partitioned with only 60GB useable space available (a new patch allows for a bit more space). Included are two USB 3.0 ports, an SD card slot, full HDMI, but unfortunately no LAN port nor VGA is on offer. Like many of its ultrabook kin, there’s also no DVD drive. With the 13.3” (1600 x 900) IPS touchscreen folded back onto the device, the Yoga turns into a rather big tablet. Seeing that it weighs 1.54kg, with a thickness of 16.9mm, it’s not exactly the neither thinnest nor most lightweight tablet around. But, here’s the kick: it runs the full version of Windows 8, and not the RT version, so all your Windows compatible software should work on it. One thing that does bother us, is the fact that in tablet mode, the keyboard under the screen is exposed. While the keys are locked, the long term effect of keys being pushed while on a table or lap is of concern. Nonetheless, the keyboard is excellent, providing a comfortable typing experience, even though a few of the keys are undersized. What Lenovo got right with the Yoga is that it’s first and foremost a decent ultrabook, performing as well as, if not better than, other units on the market. The added benefit of all its different stand positions, eventually culminating in a tablet, is more than a simple gimmick; it came in useful on a number of occasions. According to ABC, Lenovo is making two versions of the Yoga: one with an ARM NVIDIA Tegra processor, and one with that uses the more powerful line of Intel processors.